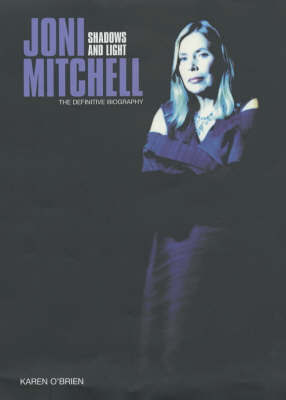 Joni Mitchell is an icon of sixties rock'n'roll, and has long been regarded as the best female singer/songwriter of her generation. Beginning as a folk singer in her native Canada in the early 1960s, she was discovered by the Byrds' David Crosby and threw herself into New York's bohemian scene in the late 1960s and 1970s she enjoyed international hits including 'Chelsea Morning' and 'Big Yellow Taxi', and has recorded several critically acclaimed albums including the landmark Blue and the jazz-influenced The Hissing of Summer Lawns. During the 1990s she has continued to create adventurous and highly-regarded music, while also turning her hand to the visual arts. Her idiosyncratic paintings and photography have been well received, and she regularly exhibits in the USA and Canada. Shadows and Light The Definitive Biography charts the life and loves of this fascinating and complex woman, whose career has spanned over 30 years and defled fashion and genre. The story is told with an unrivalled degree of access, including first-person interviews with many of those closest to her, including her family, friends and musical collaborators.